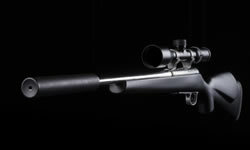 Each and every rifle receiver, starts out life as a solid billet of highest quality certificated Titanium, chosen to be the best available grade for its suitability to the task in hand. This includes several heat treatments, to ensure both toughness and durability, from surface to core, creating a durable feel of quality. All cylindrical surfaces, internal and external, are first bored, then finish ground for concentricity, and then finally honed and hand finished. 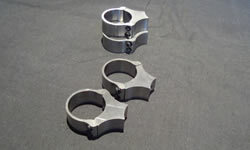 Machined at full hardness, to ensure end results. This ensures a true and straight marriage between barrel and scope. 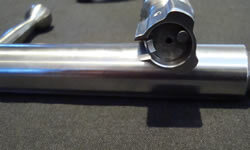 Our bolts are again of the 3 lug design, incorporating a Titanium bolt handle. Made from High Grade modern steel. Each bolt goes through several heat treatment processes, finally being hardened and finish ground, to create a super smooth and unmistakable slick feel to the cycling of the rifle. We only use the very best world class match grade sporting barrels, from a manufacturer whom warrants their product. After fitting and chambering is completed, Proof testing is then carried out at either the London or Birmingham proof house. Accuracy testing is then carried out, and finally, the barrel is then hand lapped internally, before being handed over to its new owner. Our Scope mounts are made in house, using our own unique design, bolting directly to our receiver, without any adaptors. 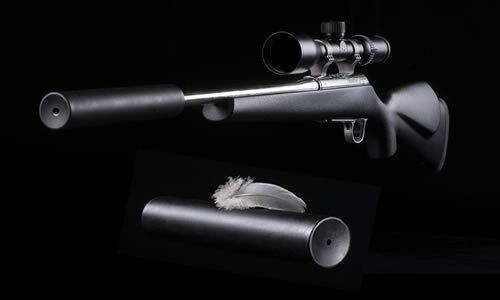 Milled from a single billet of High Grade Titanium, to ensure a strong and solid connection of Telescopic sight to our Rifles. This ensures against scope creep, and offers an accurate connection between components. If you have a favourite scope mount of your own choice, we are able also to offer bespoke mounting holes to facilitate their fitment to our receiver. Very smart web site, My moderator is absolutely fantastic! I will send you a photo of the rifle all 'pimped up' so you can see the moderator in all it's finery. I've shot 71 deer since you fitted it in February and never any doubt every time I pull the trigger. Coupled with a titanium action Browning Mountain Ti, I think it's the ultimate bit of kit!